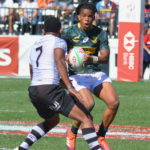 The Blitzboks defeated Fiji 17-7 at the Singapore Sevens to finish top of their pool and set up a Cup quarter-final meeting with Samoa. MARIETTE ADAMS reports. 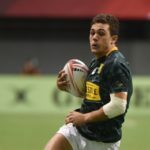 Blitzboks speedster Muller du Plessis says the team will benefit from having a combination of youth and experience during the next World Rugby Sevens Series. DYLAN JACK reports.